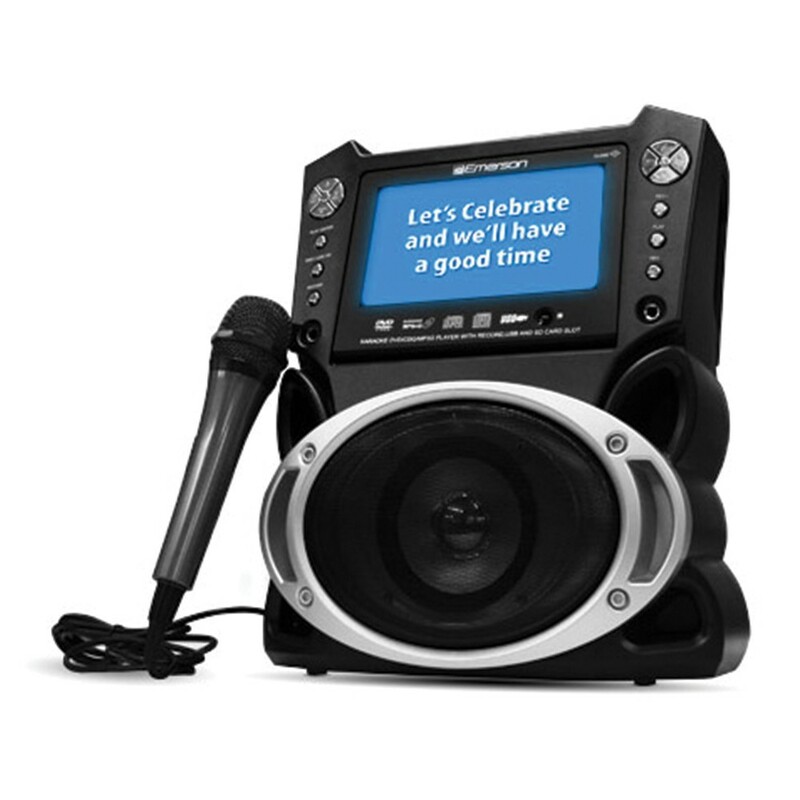 Sing along to your favorite songs with the Emerson GM527 Karaoke Player. This karaoke player comes with a variety of features that will keep any karaoke enthusiast busy for years. It has a sleek design that you will not find in any other karaoke player. The Emerson GM527 has a 7" LCD color screen for karaoke lyrics that are easy to read from far away. It comes with 300 MP3G songs on disc, but will play any normal karaoke CDG. It also has audio/video outputs for connection to your TV where you can watch lyrics or connect to a stereo or plug in your iPod or MP3 player for great sound.